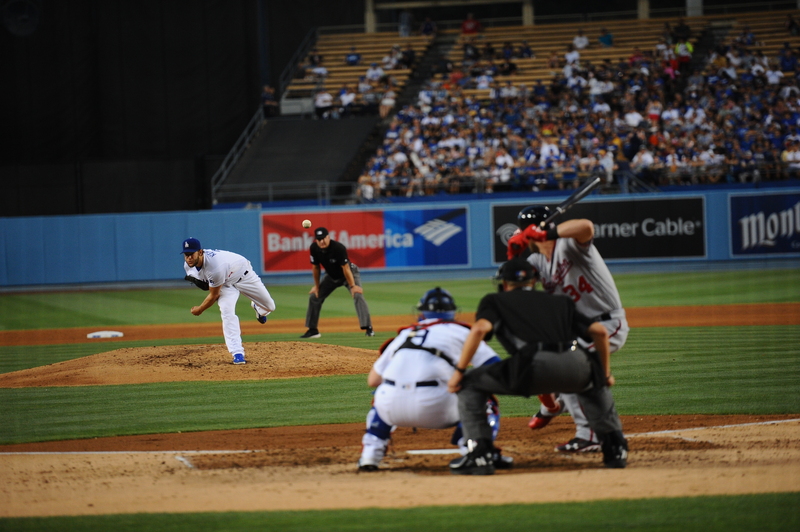 Yesterday, Dodger pitcher Clayton Kershaw was examined by Dr. Robert Watkins Jr. in Los Angeles after experiencing low back discomfort. Following an MRI, it was determined that he has a mild disc herniation that will not require surgery. We will know more about his recovery time at a later date. 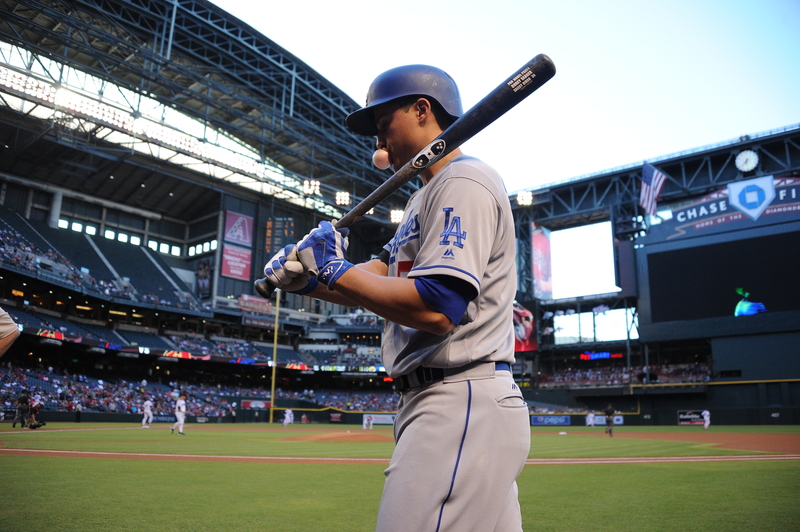 Tomorrow, it is expected that he will be officially be placed on the 15-day disabled list. Dave Roberts confirmed in Milwaukee after today’s 8-1 victory that newly acquired Bud Norris will start for the Dodgers in their homestand opener Friday. Forget the National League Rookie of the Year race for a moment. 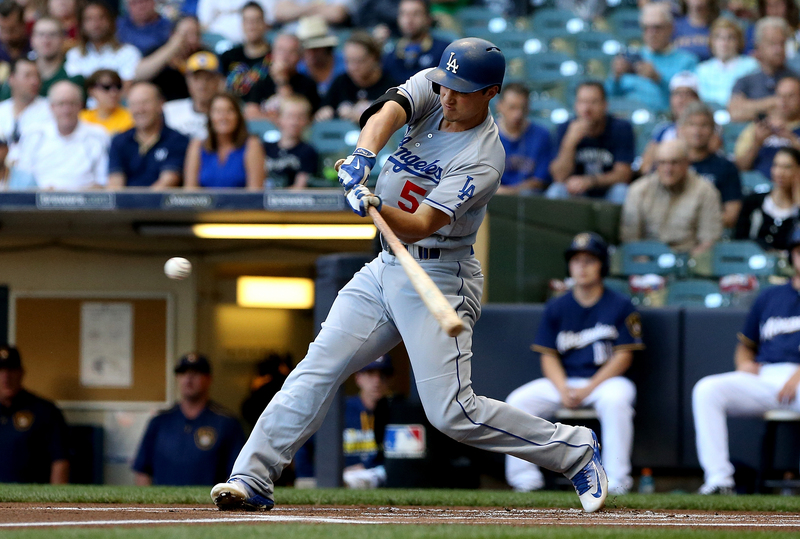 It’s time to start thinking of Corey Seager as a potential NL Most Valuable Player. The 22-year-old shortstop ranks second among NL position players in wins above replacement, and that doesn’t account for Seager hitting his 17th home run and reaching base three times in the Dodgers’ 8-1 pounding of Milwaukee today. 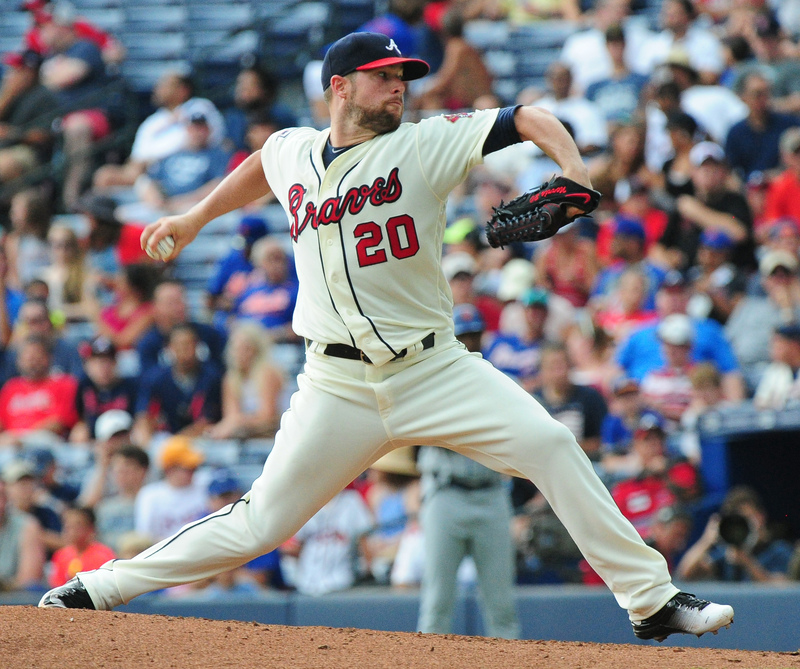 Right-handed pitcher Bud Norris has been acquired by the Dodgers from Atlanta and is expected start in place of Clayton Kershaw for Los Angeles on Friday. The Dodgers also picked up left-handed hitting minor-league outfielder Dian Toscano, a player to be named later and cash considerations. 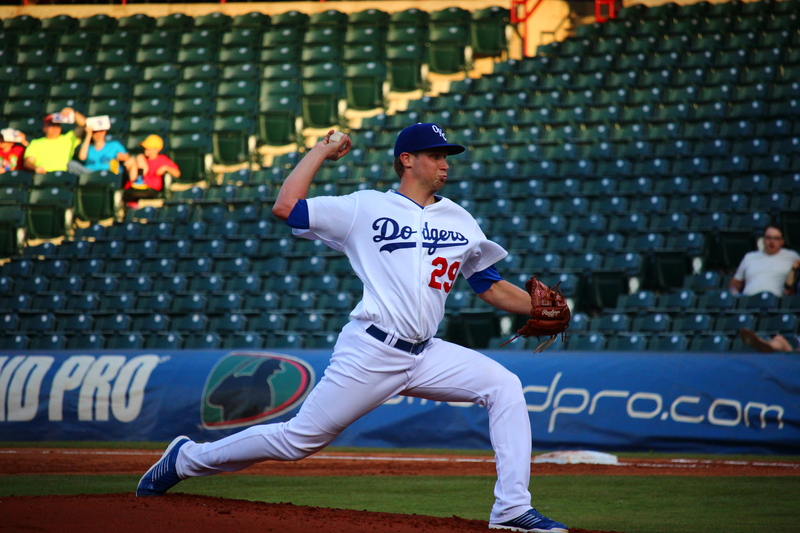 In exchange, the Dodgers have parted ways with minor-league pitchers Caleb Dirks (1.44 ERA, 10.1 K/9 in Double-A) and Philip Pfeifer (2.67 ERA, 12.5 K/9 in Single-A). 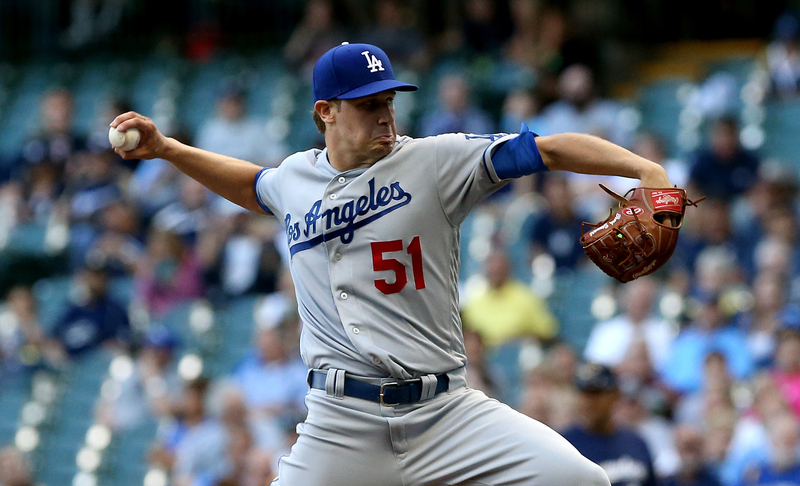 The Dodgers also designated left-hander Ian Thomas for assignment to make room on the 40-man roster. Clayton Kershaw will finish the first half of the 2016 MLB season on the 15-day disabled list, Dave Roberts told reporters today. 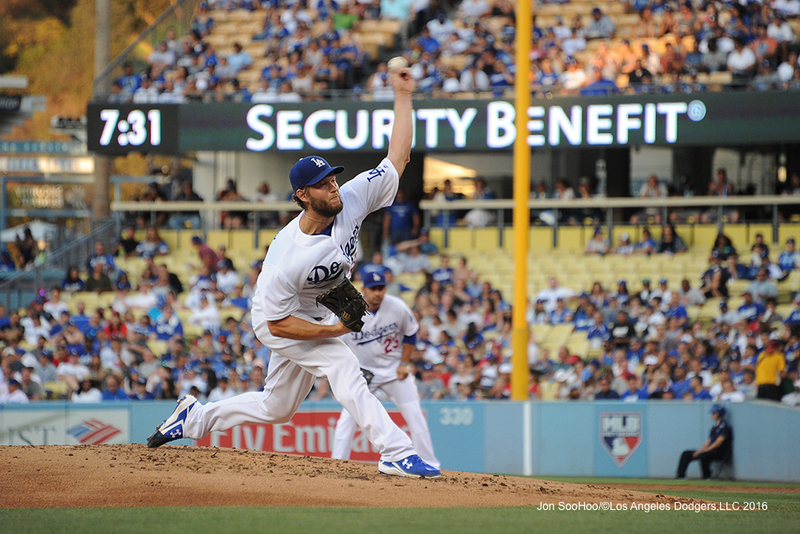 Roberts said before today’s game in Milwaukee that Kershaw received an epidural in his lower back Wednesday after flying back early to Los Angeles. 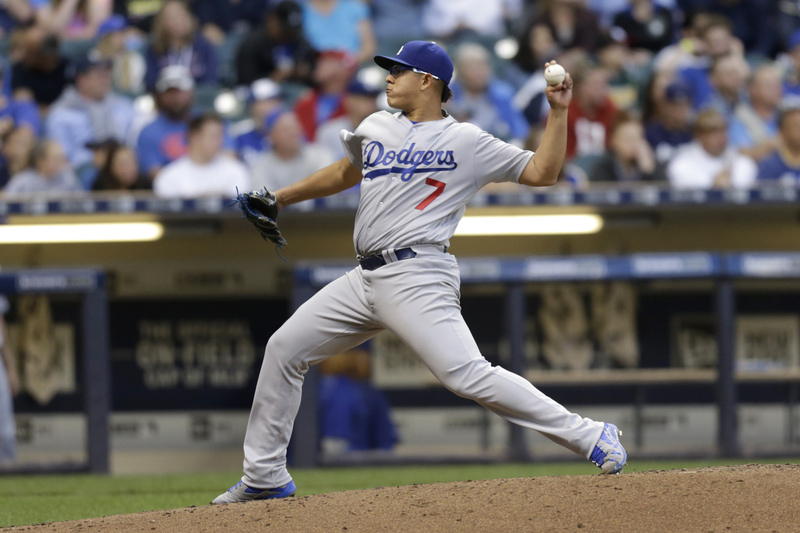 The Dodgers have not yet chosen who will take his scheduled Friday start, though Carlos Frias is a leading internal candidate if the Dodgers essentially decide to make it a bullpen game. A roster move has not officially been announced. Maybe Brock Stewart didn’t deserve better in his MLB debut tonight. He did allow Kirk Nieuwenhuis’ no-doubt, three-run homer that put the Brewers ahead for good in a 7-0 victory over the Dodgers. And there were a couple of hard outs, including a 97-mph liner by Scooter Gennett that turned into an inning-ending double play. 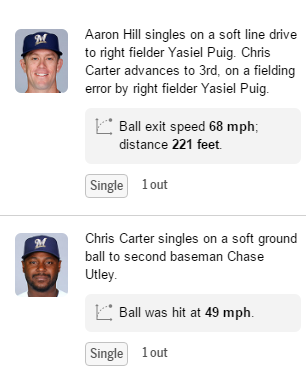 On the other hand, after a three-batter, two-strikeout first inning, the two hits (right) that preceded Nieuwenhuis’ blast barely would have traveled hole-to-hole on a putt-putt course. More importantly, after taking his licks in a five-run inning, Stewart showed a level of competitiveness and resiliency that spoke loudly for him, even if it won’t be much comfort in tonight’s update of the standings. Despite allowing eight hits and two walks (one intentional), the 24-year-old finished with seven strikeouts, more than all but three pitchers making their debuts in Los Angeles Dodger history. Reaching 95 pitches in his fifth and final inning, Stewart wiped out Ryan Braun, Jonathan Lucroy and Chris Carter in a row, with a particularly nasty changeup felling Lucroy for strike three. 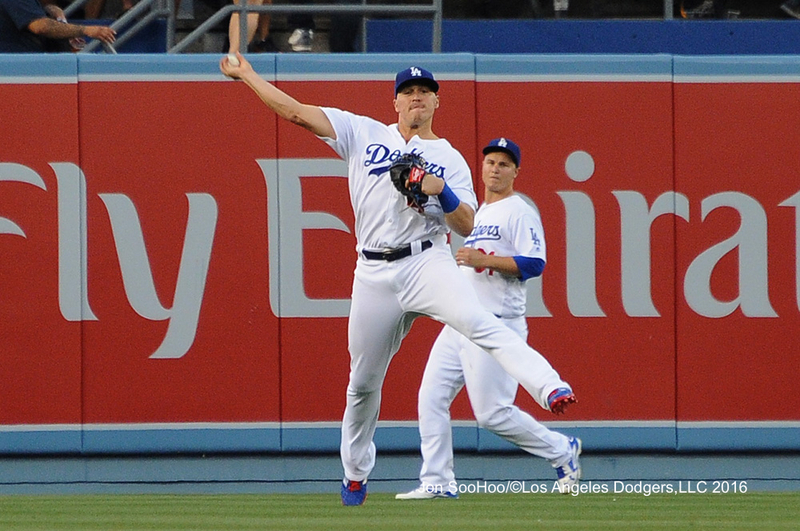 Kiké Hernández has been placed on the 15-day disabled list (retroactive to June 28) with left rib cage inflammation by the Dodgers, who also transferred Alex Wood from the 15-day to the 60-day disabled list. Tonight’s starting pitcher, Brock Stewart, will take their spots on the active and 40-man rosters. A year after being drafted in the sixth round by the Dodgers, Brock Stewart turned in a reasonably solid 2015. He had a 2.84 ERA in seven starts for low Single-A Great Lakes, then got the half-step promotion to Rancho Cucamonga. Things were moving in the right direction. The right-hander got roughed up for eight runs in his first start for the Quakes and logged a 5.43 ERA for them, but progress is progress. In 2016, he’d have every opportunity to move up another level. Remarkably, after beginning 2016 at Single-A, the 24-year-old Stewart has climbed all the way to the Major Leagues, where he will be making his MLB debut for the Dodgers as their starting pitcher against Milwaukee tonight. Clayton Kershaw = Charlie Salinger: Older than his years, young by any other reasonable standard, Clayton/Charlie is the unquestioned leader. Everybody loves him. Everybody wants him. This rotation/family could thrive or dive depending on his presence, and fans will be in awe over his always perfect amount of facial hair. But on rare occasions when even he needs a lift, we turn to the rest of the clan. In one sense, Julio Urías was all over the place, walking more batters tonight than in his previous five starts combined. In another sense, that crazy brushwork simply provided color to another painterly performance by the teenage artist. Joc Pederson might have saved the game at the price of his health when he crashed into the outfield wall at Milwaukee in the eighth inning tonight. Note: Days off for Yasiel Puig and Justin Turner, both of whom are expected to play Wednesday. 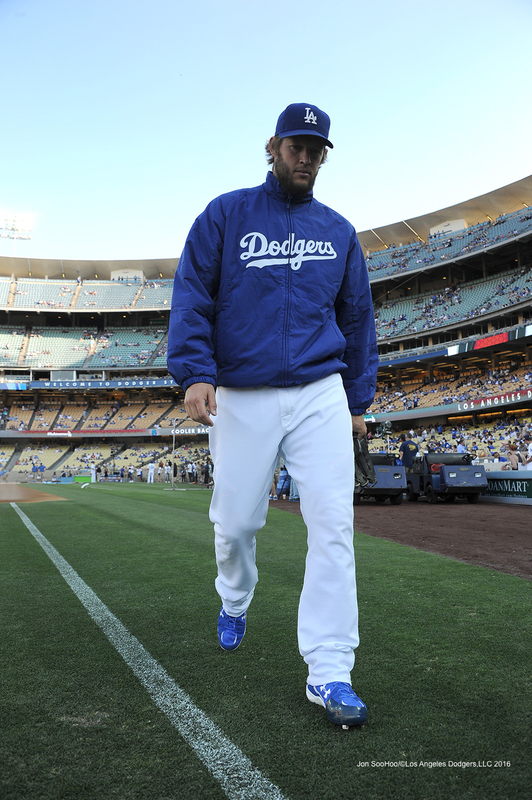 Clayton Kershaw is returning to Los Angeles early to visit team doctors about lower back soreness he is experiencing, Dave Roberts confirmed to reporters before tonight’s game in Milwaukee. As Ken Gurnick of MLB.com noted Monday, Roberts said that Kershaw has been dealing with some stiffness the past few weeks. Second baseman Willie Calhoun and right-handed pitcher Jharel Cotton were both selected to play in this year’s MLB Futures Game. The game will be played on July 10 at Petco Park, two days prior to the All-Star Game. The 21-year old Calhoun, featured recently at Dodger Insider, has a .799 OPS for Double-A Tulsa, despite a recent 1-for-24 slump, with 14 home runs in 74 games. Cotton allowed four runs in five innings Sunday, but still has 82 strikeouts in 68 2/3 innings this year for Triple-A Oklahoma City. Cole Figueroa, an infielder who turns 29 Thursday, has been claimed by the Dodgers and optioned to Triple-A Oklahoma City. Figueroa has a .536 OPS in 84 career big-league plate appearances with the Rays (2014), Yankees (2015) and Pirates (2016). 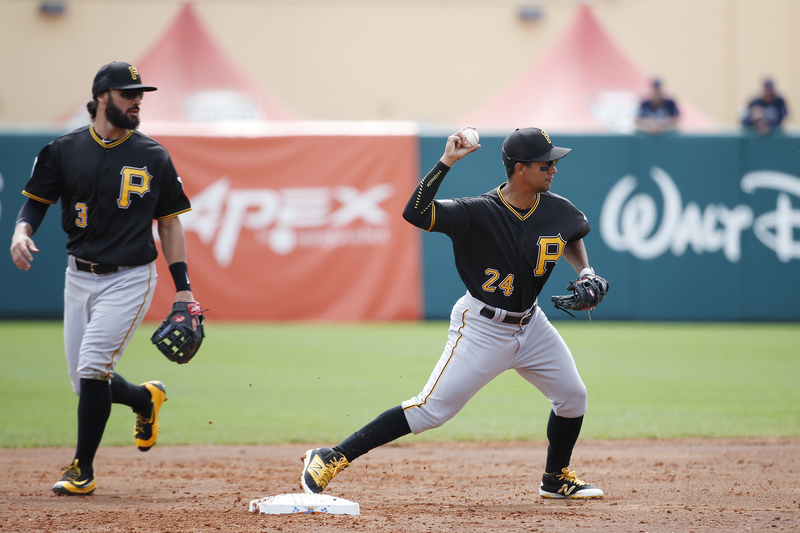 Pittsburgh optioned him June 11 to Triple-A Indianapolis and designated him for assignment June 24. He had a .333 on-base percentage and .453 slugging percentage for Indianapolis this year. His career OBP in 429 Triple-A games is .356. 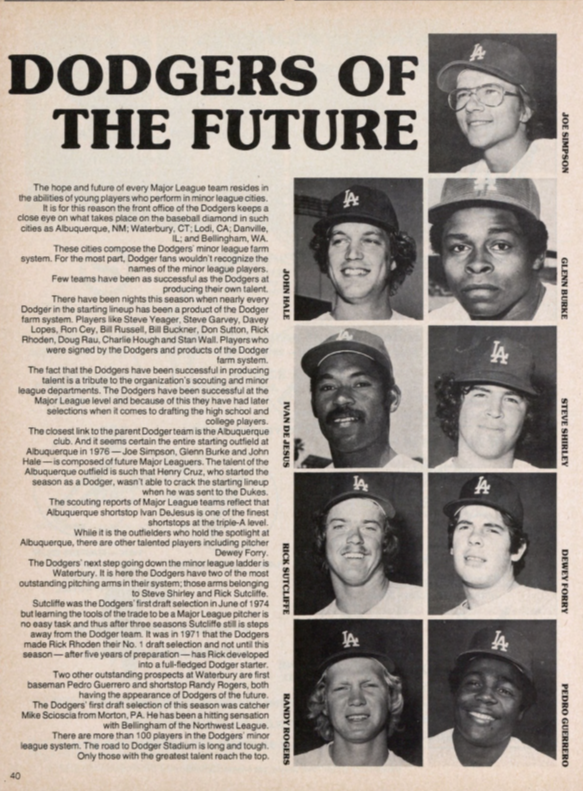 Forty years ago in the official team program, here’s what the Dodgers’ top prospects looked like, from the familiar to the forgotten. 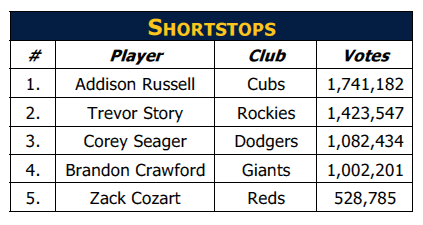 With the fan vote ending at 8:59 p.m. Thursday, Corey Seager remains approximately 700,000 votes removed from the starting shortstop spot for the National League All-Star team. Seager has picked up 300,000 votes in the past six days, but needs a lot more to get himself over the Addison Russell hump.